Empowering artisans and farmers around the world to earn living wages and increase their opportunities is the goal of the Fair Trade mission. Create Opportunities for Economically & Socially Marginalized Producers: Fair Trade is a strategy for poverty alleviation & sustainable development. Develop Transparent & Accountable Relationships: Fair Trade involves relationships that are open, fair, consistent & respectful. 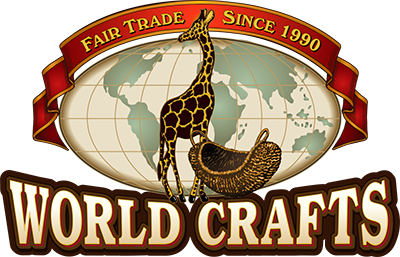 Build Capacity: Fair Trade is a means to develop producers' independence. Promote Fair Trade: Fair Trade encourages an understanding by all participants of their role in world trade. Pay Promptly & Fairly: Fair Trade empowers producers to set prices within the framework of the true costs of labor time, materials, sustainable growth & related factors. Support Safe & Empowering Working Conditions: Fair Trade means a safe & healthy working environment free of forced labor. Ensure the Rights of Children: Fair Trade means that all children have the right to security, education & play. Cultivate Environmental Stewardship: Fair Trade seeks to offer current generations the ability to meet their needs without compromising the ability of future generations to meet their own needs. Respect Cultural Identity: Fair Trade celebrates the cultural diversity of communities, while seeking to create positive & equitable change.